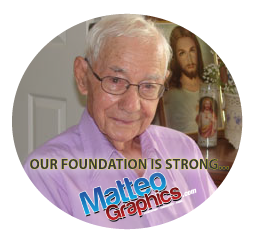 Matteo Graphics | Screenprint, Embroidery, Signs, Vehicle Wraps & more. Screenprint, Embroidery, Signs, Vehicle Wraps & More. Improve your Image with Matteo Graphics. Custom Graphics, High Quality, Great Value, We Print for You. We use only the best Inks, and customized Graphics to outfit all your needs. Ink your Shirt! Full in house digitizing, top of the line Tajima embroidery machines, custom embroidered logo's. Madeira thread. It's not just a vehicle wrap, it's an art. We have that wrap down to a Science. Did you know we are full service Sign company. We are not just T-shirts. We are storefront signage and all signs under the sun. We founded the company after Matteo Summa. A remarkable man and a remarkable life.